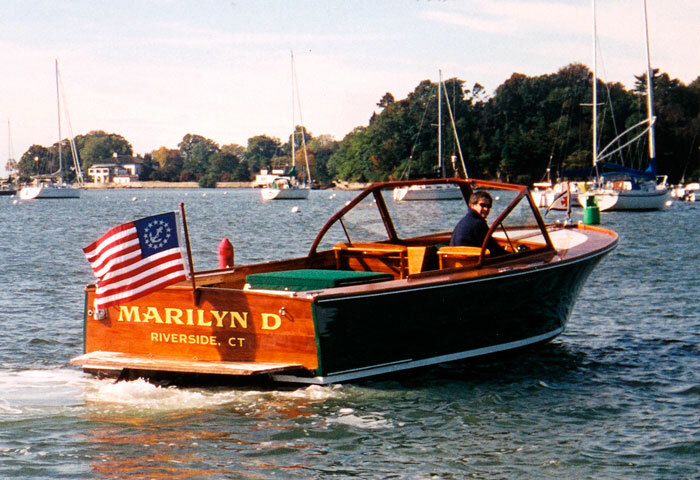 MARILYN D has a 26' hull of intact cold-molded spruce. 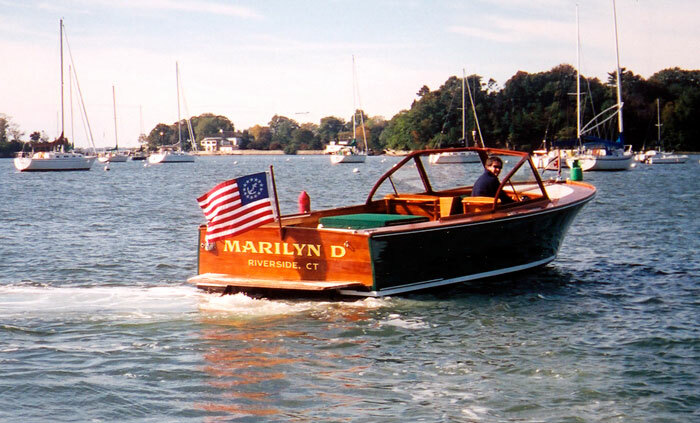 She was originally called IMPULSE and owned by Cabot Lyman, who used it as a commuter boat for 10 years, and was the original 'Jet' boat out of Lyman Morse. Mike Perlis and Lyman Morse restored her over the winter of 2001-2002. Restoration included several modifications and upgrades, such as putting awlgrip on the hull, replacing the metal windshield with a custom designed mahogany one, and reworking the interior structure to add 'loads of cool and useful details. Mike's email is mperlis@softbank.com.